Boxing Day Sales: the best day to sell your home? Every other sale starts almost as soon as the turkey’s been eaten so why shouldn’t you follow the same tactic when selling your house, asks our consumer journalist Christine Toner. I know what you’re thinking, we’ve not even had the main event yet and here I am talking about hitting the shops on December 26th. For the record I’m not a big fan of the Boxing Day sales. For me the day after Christmas should be for one of three things – brisk wintery walks, festive parties or setting up camp on the couch with a blanket and an Alka Seltzer. Heading to the high street to get a discount on a TV doesn’t scream Christmas to me. However, there is one sale you probably should be thinking about on December 26th and that’s the sale of your home. Tradition dictates that the spring months are the best time to sell your property but by waiting until the flowers start to bloom are you actually missing a trick? Think about it. Many people have just spent Christmas with extended family and the in-laws staying over and have realised just how small their house actually is! After days crammed in together with the added clutter of Christmas decorations it’s not surprising that they finally decide they definitely need more space. And on a serious note the New Year is the perfect time to think about new starts and new opportunities. For many that will include a move. As such, a great number of people will start the house search straight after the holiday. And, if you’re savvy, when they do there’s your house all shiny and new waiting to be snapped up. And if you don’t believe me just check out the stats. According to Rightmove last Christmas there were over three million visits to the site across Christmas Day and Boxing Day. Between 2014 and 2016 there was a 40% increase in visits on Boxing Day and on the first working day in 2017 there were over 4 million visits. In fact there was a 170% increase in page views between 25th and 29th December 2016 on Rightmove. 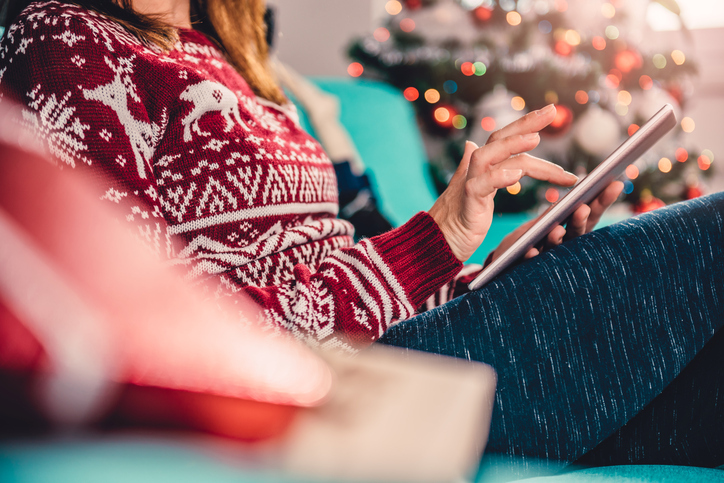 Meanwhile Zoopla has reported a 36% increase in Boxing day site visits between 2014 and 2016. The key to getting a sale at the best price is to make sure your property is being viewed by as many people as possible and the key to achieving that is to make sure it’s listed on both Rightmove and Zoopla. 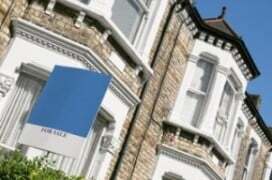 Check out our guide Zoopla, Rightmove and the rest: which is best? High street agents who are members of the industry group On the Market are bound by specific rules which dictate they can only list your property on either Zoopla or Rightmove and not both. Online agents, however, are not part of On the Market and can therefore list on both site, guaranteeing maximum exposure. 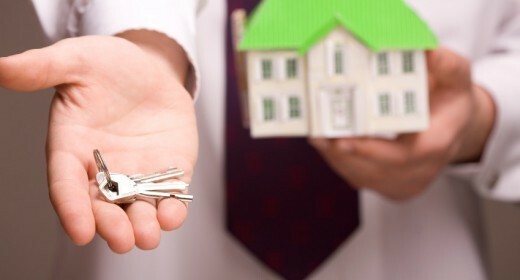 Compare online estate agents now with our handy tool and find the right one for you. If you’re keen to get your home listed straight after Christmas though be careful about what photos you use. By late December most of us will be sick of the sight of our own decorations – photos of a festive looking property complete with tree, baubles and tinsel will be unlikely to entice buyers once the season is over! Leave taking the photos of the most Christmassy looking rooms until after the decs are down!